1960s fashion was bi-polar in just about every way. The early sixties were more reminiscent of the 1950s conservative and restrained; certainly more classic in style and design. The late 1960s were the exact opposite. Bright, swirling colors. Psychedelic, tie-dye shirts and long hair and beards were commonplace. Women wore unbelievably short skirts and men wore tunics and capes. The foray into fantasy would not have been believed by people just a decade earlier. Its almost like the 1950s bottled everyone up so much that the late 1960s exploded like an old pressure cooker. Women were showing more skin than ever before! Click any photo to enlarge. 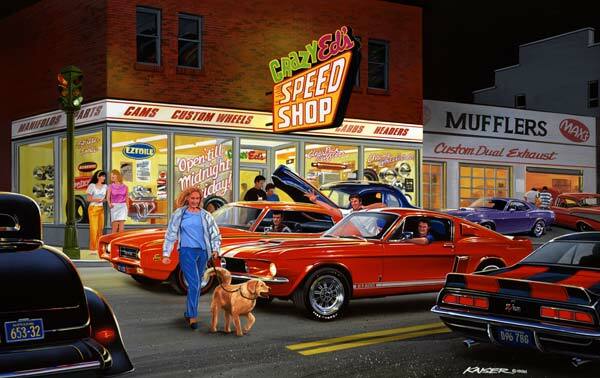 Get Your Man Cave Art Work Here! 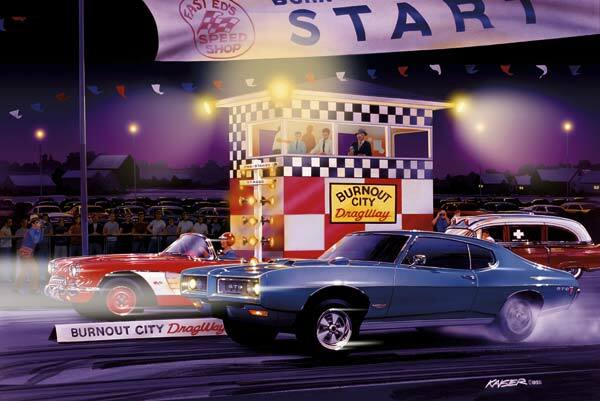 Automotive artist, Bruce Kaiser has been drawing, sketching and painting cars his whole life. 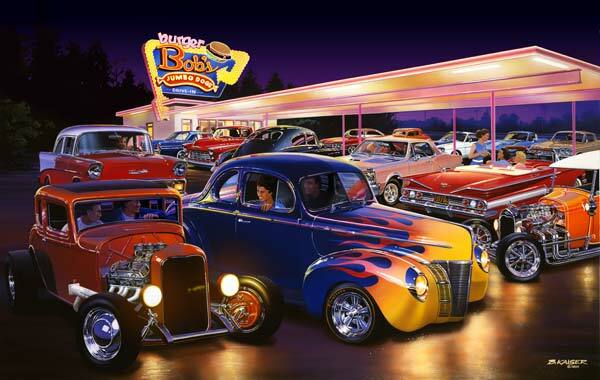 He grew up in the 60s hanging out at the local A&W Drive-In first on his bike and later with his first cars. 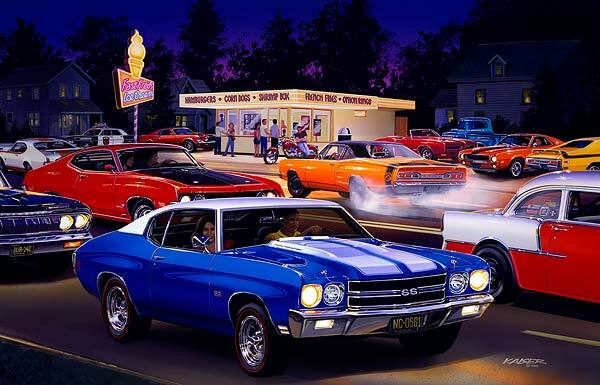 It was the golden age of Detroit's great muscle cars and the images and sounds of hot cars under the lights at a local hamburger place still influence his car paintings today. All photos and videos presented on this site are for entertainment purposes only. We do not own the rights. "If you have any copyright claims or issues please contact Jeff Whitaker at (410) 562-9319"